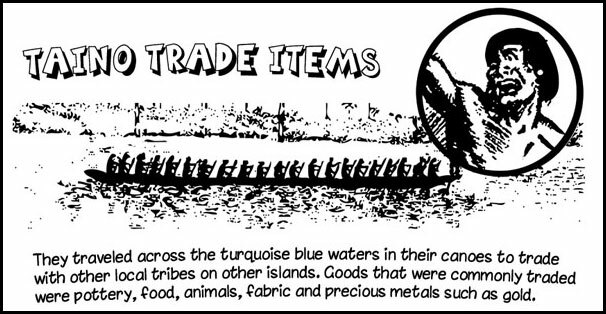 The canoe was the only method of transportation that the natives used to travel up and down rivers as well as oceans. They utilized both small and large canoes. 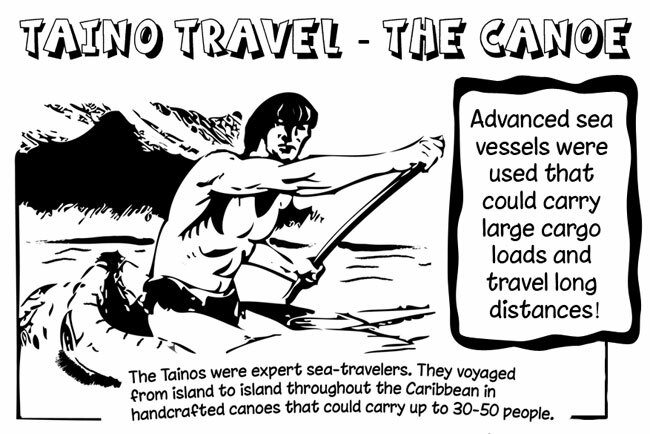 The large canoes were mainly used to travel long distances, such as voyaging to another island. The small canoes where reserved for rivers since they were easier to maneuver on narrow stretches. Experts believe that the large canoes could carry 30-50 people at once, while other historians claim even a larger number, from 60 to 100 passengers! These canoes were constructed out of trees the Tainos called sayee-baa, generally known as the ceiba or silk cotton elsewhere. The ceiba reaches heights of 80 feet or more. The wood is remarkably lightweight and can be easily shaped. It is interesting to note that the ceiba tree was sacred to both the Mayans and the Tainos. When the natives of a village decided to construct a canoe, they headed for the forest. 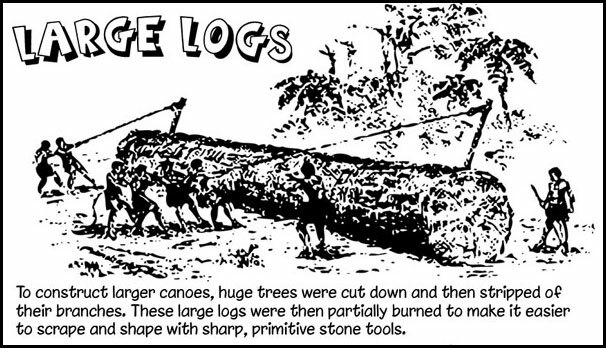 Once a convenient tree was selected, they used stone axes to cut it down. According to myth, the tree would speak to the Tainos and disapprove or approve if it could be chopped down or not. The ceiba tree would also indicate how it should be shaped and decorated in order to honor its spirit. Once the tree was chopped to the ground, they carved and shaped the outer part of the trunk. To hollow out the tree, fire was used to soften the core. Once cooled, stone and shell tools were used to dig-out the inside. 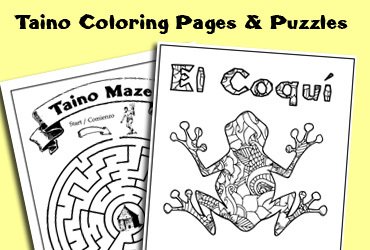 If the canoes were constructed for a cacique, the vessel was carefully painted and decorated.